A callous is a build-up of dead skin. It has no nucleus or root, but can cause pain. Area of evenly thickened skin that generally forms on the heel, on the side of the big toe or on the ball of the foot. Area can be bulbous, red and protruding or dry, yellow and flaky. Repeated friction and pressure, which is caused by incorrect weight distribution or wearing ill-fitting shoes and hosiery. Foot deals with the excessive, unequal pressure on a site by forming a callous on that spot. Can take months to develop. 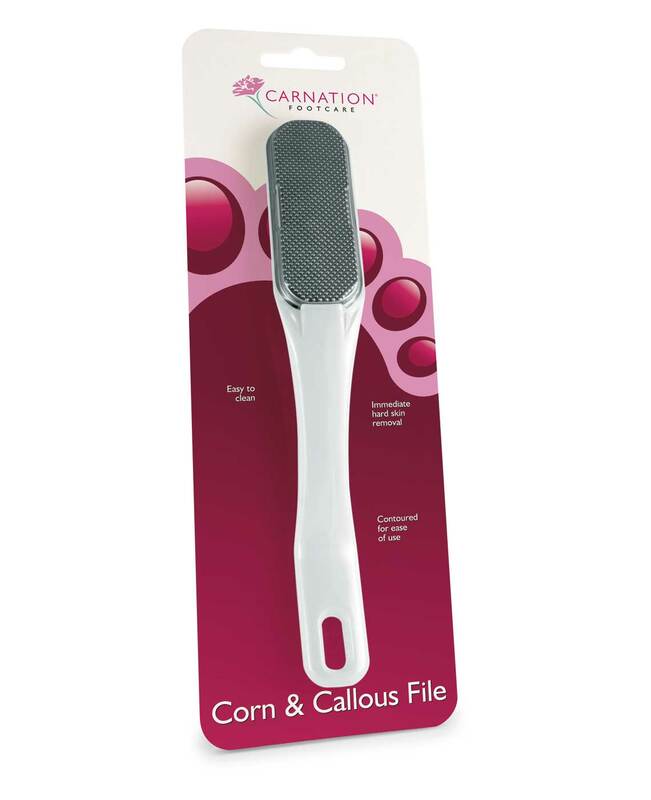 If the problem is slight, a callous file used regularly will prevent skin layers building up. 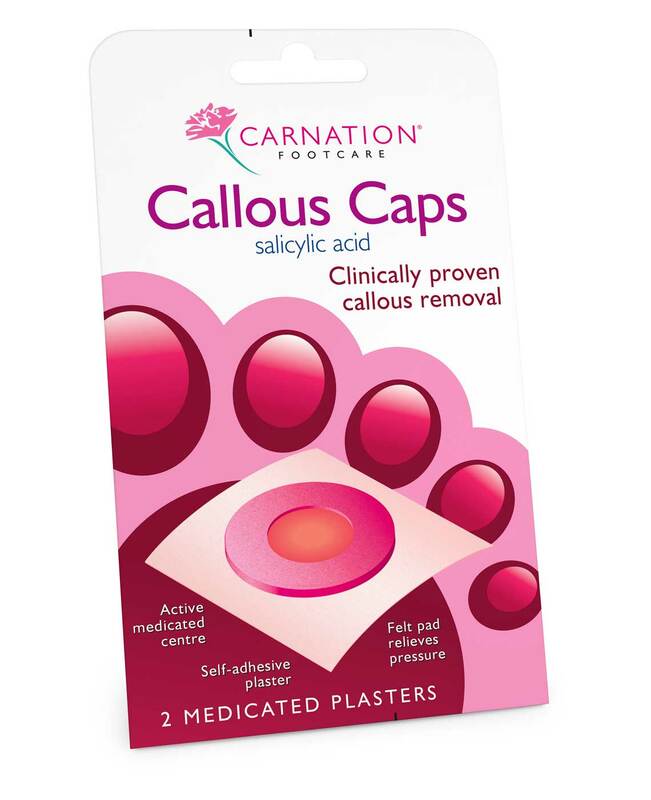 In more troublesome cases, callouses can be treated with Carnation Callous Caps.